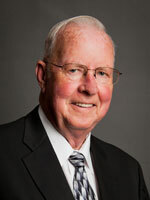 For over 35 years, Jerry D. Sisk, served the members of American 1 Credit Union through his involvement on the board of directors. Sisk passed away on Saturday, August 15th. Jerry worked for 30 years at Jackson Drop Forge and was also longtime President of UAW Local 62. He was a veteran having served in the Army. Jerry was elected to the American 1, Board of Directors in 1979. While on the board he served as Treasurer and oversaw the growth of American 1 from approximately 9,000 members to its current size of over 55,000 members today. Jerry was also on the Board of Directors as Jackson Cooperative Credit Union transitioned to become American 1 Credit Union. In his retirement Jerry enjoyed driving the school bus for Vandercook Lake, Michigan Center and Lumen Cristi. He also had a heart for his four-legged friends. American 1 Credit Union, and our members, are the beneficiaries of Jerry’s dedication and insight. The work he accomplished at American 1 will have a lasting impact.